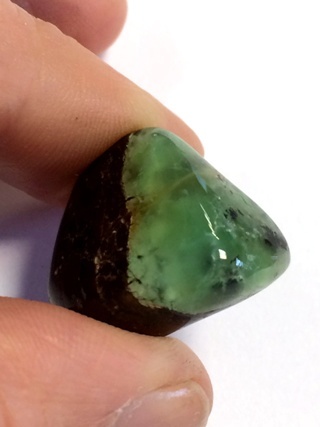 A vivid tumbled stone of Chrysoprase. Chrysoprase is a chalcedony coloured green by traces of nickel. 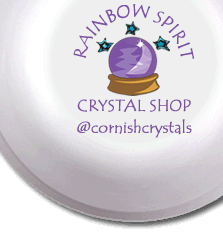 It is adopted as a talisman for attracting new love and abundance, and used to boost positivity and aid peaceful sleep. It had high regard in medieval times, being carved with a picture of a bull for protection as it is associated with Taurus. It was also believed to have fallen from a heavenly apple tree, and to have to capability to turn harsh words soft, full of forgiveness. Chrysoprase indicates changes of heart by others or a new opportunity in a situation that has previously seemed hopeless.